Brad Pitt Confirmed for Mobster Comedy "Cogan's Trade"
Brad Pitt could have a positively huge 2011, with both "Tree of Life" and "Moneyball" on the way, and now he's getting a jump on a nice 2012. Pitt has been confirmed for the lead role in "Cogan's Trade," reported Variety. The film will be based on the novel of the same name by George V. Higgins, the same man who penned "The Friends of Eddie Coyle." Pitt's name was first mentioned in connection with the project back in November. Directing the film will be Robert Dominik, with whom Pitt worked on "The Assassination of Jesse James by the Coward," and who also made "Chopper," a movie so good it made Eric Bana famous. The film is scheduled to start filming in March in Louisiana, with an eye toward a release in 2012 or 2013, depending on which listing on IMDB you believe (we'd guess 2012). 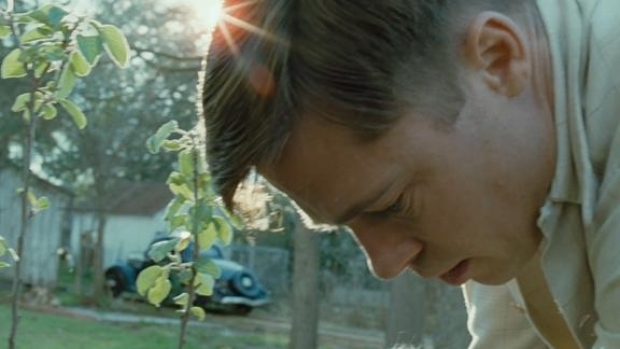 In the meantime, you can assuage your Pitt jones with "Tree of Life" on May 27, and "Moneyball" on Sept. 23.